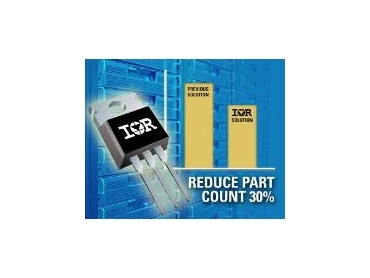 INTERNATIONAL Rectifier, represented in Australia by Arrow Electronics , has launched new, high efficiency 75V and 100V HEXFET power MOSFETs in the TO-220 package. These devices shrink circuit size and increase power density in high power server ac-dc switch-mode power supplies (SMPS) with 12V output, or in 48V rail O-Ring circuits. The MOSFETs suit high power flyback secondary rectification or offer enhanced primary-side efficiency in high power telecom isolated 48V dc-dc converters. In addition, the new MOSFETs can be used in stepper motor and brushless dc motor drive applications.